Contributions to assist funding our programs and projects. 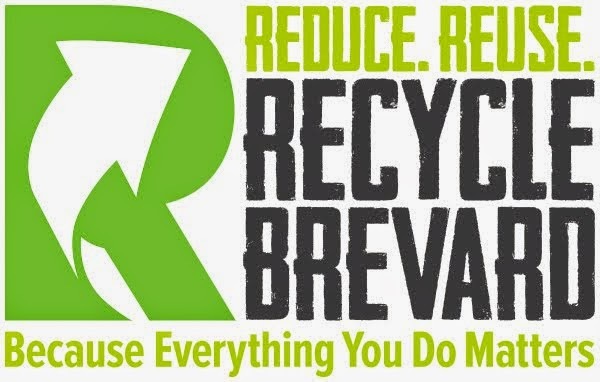 Recycle Brevard is a 501(c)3 charitable educational organization, and as such, any donations made to Recycle Brevard are tax-deductible to the extent provided by law. For specific details on tax regulations governing charitable contributions, consult IRS Publication 526. Registration CH41431. A COPY OF THE OFFICIAL REGISTRATION AND FINANCIAL INFORMATION MAY BE OBTAINED FROM THE DIVISION OF CONSUMER SERVICES BY CALLING TOLL-FREE 800-435-7352 WITHIN THE STATE. REGISTRATION DOES NOT IMPLY ENDORSEMENT, APPROVAL, OR RECOMMENDATION BY THE STATE. Direct donations of any amount help offset our costs and are very welcome. If you or your organization would like to make a direct donation, you may use the button below to access our PayPal form. PayPal securely processes donations for our organization. You can complete your transaction with just a few clicks. You may also help support our projects when you shop at Amazon Smile. If you shop online, simply access Amazon Smile using our link and you will be supporting Recycle Brevard. Every time you shop at Amazon Smile, Amazon will donate a percentage of the total of your purchases to Recycle Brevard at no cost to you. Try it out! We encourage everyone in the community to support our efforts by donating unwanted materials so we can reuse them in our projects, place them in our Reuse Room to be available for the community, and distribute to various charities that can reuse those materials as well. Another way to contribute is to look to use materials from our Reuse Room. A donation of $5 gives you access to materials in the room and a grocery paper bag that you can fill with whatever your project calls for that is available in the room. Individuals and Organizations may opt to become members of our Recycling Club to assist with extending the life of reusable materials and sending less to our landfills. All members of our Recycling Club have access to materials in our Reuse Room. The level of membership will determine your membership perks. Annual membership contributions start at $20. We also value businesses and other organizations that can host collection events or donate space for us to place a collection bin for materials we accept. We recognize and are thankful for contributions anyone can make towards our fund raising efforts and any time and expertise volunteered to assist us move our organization forward.